A short summary of the lineage of the various 9th Infantry Battalions and links to the Australian War Memorial items about the Battalions. A List of Commanding Officers and Battle Honours can be found within each Battalions page. These links are to pages on the Australian War Memorial site and as such may change, or break, over time. Please report any broken links by using the 'Contact' tab at the top left of this page. 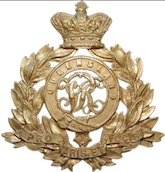 The Royal Queensland Regiment was formed in 1960 as part of the reorganisation of the Citizen's Militia Force, which saw all CMF battalions in each state amalgamated into state regiments. Initially, the regiment simply had a 1st and 2nd Battalion. However, to perpetuate the old battalions of the 2nd Australian Imperial Force, the two battalions were renumbered as the 9th Battalion and 31st Battalion. Three further battalions (25th, 42nd and 51st) were formed in 1965, with the 49th Battalion formed a year later. In 1985, the 51st Battalion was separated from the rest of the Royal Queensland Regiment and reformed as the 51st Battalion, Far North Queensland Regiment, while the 25th and 49th Battalions were amalgamated into a single battalion in 1997. The 31st and 42nd Battalions were amalgamated in 2008. The Royal Australian Regiment (RAR) is the parent regiment for regular infantry battalions of theAustralian Army and is the senior infantry regiment of the Royal Australian Infantry Corps. It was originally formed in 1948 as a three battalion regiment; however, since then its size has fluctuated as battalions have been raised, amalgamated or disbanded in accordance with the Australian government's strategic requirements. Currently the regiment consists of seven battalions which fulfill various roles including those of light, parachute, motorised and mechanised infantry. During the course of its existence, the regiment has deployed on operations to a number of countries including Korea, Malaya, Borneo, Vietnam, Somalia, Rwanda, Cambodia, East Timor, the Solomon Islands, Iraq and Afghanistan. We hope to expand this page over time to include short details of each Unit, and lists of Commanding Officers. Any thoughts, or corrections, are welcomed.